On January 14, 2012, NY1's The Call interviewed members of the Queens Pride Lions Club in studio. The latest New Yorkers of the Week belong to a volunteer organization in Queens that’s making a difference in the LGBT community. NY1’s John Schiumo filed the following report. 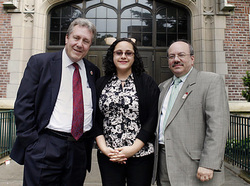 After living in Jackson Heights for 25 years, LD Clepper finally has a home away from home. "Especially now that we’re doing things that are going to help the gay/lesbian community," says Clepper. Clepper is a proud member of New York's first ever LGBT Lions Club. The club opened in Jackson Heights last year and is now home to 25 members and growing. "It's really exciting. That's my point of view. It is something that is long overdue," says Oliver Hummel, second vice president of the Queens Pride Lions Club. After seven months, the organization is already making a difference in many ways, like helping transgendered New Yorkers prepare for job interviews. "We donated clothing to Fashion On Gender, which provides clothing to transgendered individuals who are looking for employment and need to look appropriate," says Jacob Berelowitz, president of the club. Berelowitz says it’s a place where people can feel comfortable with their sexuality while giving back. And members say while the beauty of the organization is the ability to now pinpoint specific issues for LGBT members, they also cater to the needs of all New Yorkers in their community. "People see us so many times looking for marriage equality, but we are more than that. So, I think it is important to know that we are involved in the community as well,” says Ralph Gonzalez, a member of the club. The Lions go back to the early 1900s. LGBT members can now be part of that history. Clepper says his father was a lion for as long as he could remember, but he himself never felt comfortable joining until now. "It's just a family tradition that I’m glad to be able to continue," says Clepper. 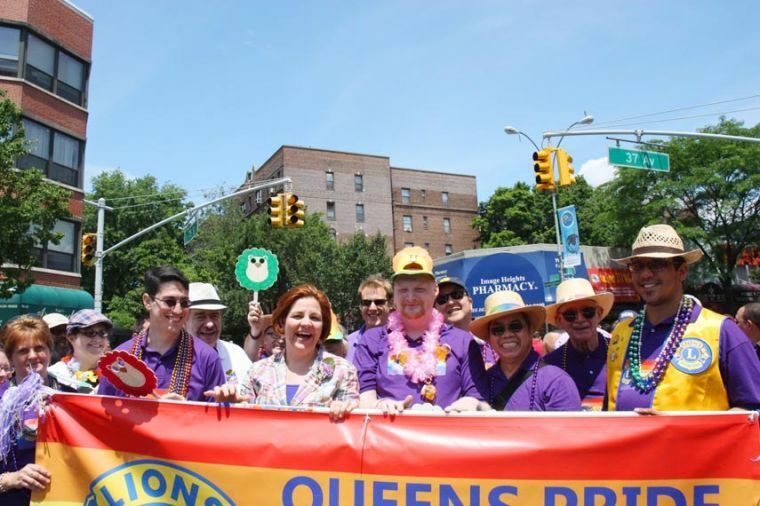 So, for continuing an old tradition in a new fashion, and for serving their community with pride, the Queens Pride Lions are the latest New Yorkers of the Week. NY1 VIDEO: The first-ever New York-based LGBT-powered chapter of the Lions Club, a worldwide volunteer service organization, has opened up in Jackson Heights, Queens, and it has given a helping hand by collecting toys for children and clothing for transgendered people. For more information on the club, visit www.queenspridelionsclub.org.